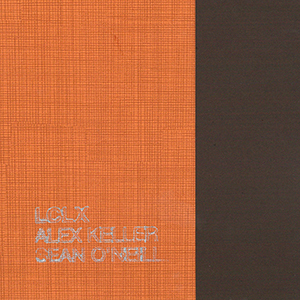 Brainwashed - Alex Keller and Sean O'Neill, "LCLX"
Alex Keller and Sean O'Neill, "LCLX"
LCLX is a rather fast follow-up to this Texas duo’s other recent work, Kruos, but by no means does it seem rushed or hurried. Alex Keller and Sean O'Neill again have produced a work that is both familiar and alien, through careful use of field recordings and understated processing to capture the world around them, mixing the mundane with the uncommon to create environments that sound much more unique then they likely were in the first place. The lengthy title piece that opens LCLX is actually a reworking of material Keller and O'Neill utilized for their first performance together in 2015. The nearly 16 minute work is based solely on recordings captured at the Charles Alan Wright Intramural field in Austin, Texas, with little or no discernible processing or treatment to the sound. A heavy droning bass and complementary buzzing noise are immediately apparent from the start, apparently capturing the field’s bright lighting that is as sonically distracting as it apparently also is visually. The remaining five pieces that make up this album come from less clear pedigrees, but all revolve around field recordings captured in urban and rural areas, and all manner in-between. Some of these are perversely enjoyable: I would hate to have to listen to the jackhammering captured on "Ununbium" against my will, but captured on record there is revealed an almost musical quality to it, emphasizing nuances to the sound I would have otherwise ignored. In a more natural mood, "Ununpentium" is the classic sound of a rainstorm. The pitter-patter of raindrops both near and far from the recording device is a rather peaceful bit of wet, muggy sound. The added rumble of thunder that appears later on adds to that “enjoying nature” feel, but the passing airplane makes for an intentional distraction. The ten minute "Ununquadium" mirrors "LCLX" in its complexity, bringing in a series of sounds that are in this case not overly recognizable, but work well alongside one another. Distant rumbles and near static bursts act as the core, with the occasionally overt bit of bird chirping showing up. Later on a rhythmic clattering appears that could be studio treated with reverb and echo, or perhaps completely natural in their source. This ends up being mixed with a series of other unspecified mechanical sounds, resulting in a piece that lies in somewhere between the purity of nature and the sonic pollution of mankind. Special note should be made of the CDs unconventional packaging. Folded within a piece of heavy paper and even heavier stamped fabric, it has that tactile, handmade quality to it that was so prevalent in the 1990s noise scene (such the G.R.O.S.S. label run by the late Akifumi Nakajima/Aube) that too many releases lack these days. Like Kruos, LCLX is another example of the intricacy and nuance possible from just using everyday field recordings. Alex Keller and Sean O'Neill are, at least superficially, just capturing the world around them as it happens, but the difference lies in their recording techniques and the final presentation. It is that use of the familiar and the unfamiliar that makes these works so engaging, and is an exemplary example of the art form.